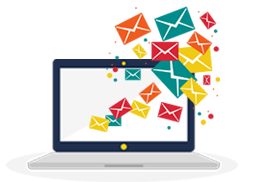 Manage Lists & Subscribers easily with our Free Email Software that you get with our SMTP Server. Mass Import/Delete Subscribers, Custom Fields, Single/Double opt-in, Thank you/Good Bye Emails and a lot more. 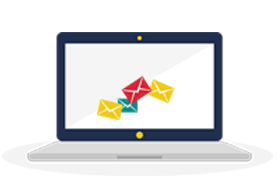 Our Free Email Software uses Multi-Threading to send emails via our World Class SMTP Servers. Get freedom from paying for expensive email campaigns and forget about email limits set by your vendors while at the same time enjoying High Delivery Rate. See the performance of your Email Campaigns in Beautifully Designed Reports. Visualize Opens, Clicks, Bounces, Complaints & Countries with Charts & Data. Bounces, Complaints, and Unsubscribes are automatically handled in real time once your newsletter is sent. There is no need for any manual post campaign clean-ups. Use custom fields as Personalization Tags in newsletters to create a more personalized experience with your subscribers. 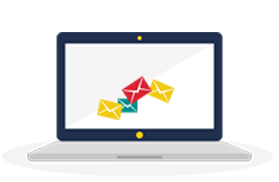 Create campaigns to follow up with your subscribers, send an email annually or one-off emails at a specific date. Keep your subscribers engaged and your brand at the top of their mind.